INDUSTRY.co.id - Belitung - Government increasingly confident with the implementation of the scheme for gross split which is considered to provide certainty, simplicity and efficiency. This is evident from the interest of five blocks of oil and gas (oil and gas) at the conventional oil and gas Working Area (WK) auction late 2017. This scheme is considered to be better compared to the WK Migas auction which uses the cost recovery scheme in 2015 and 2016 which are quiet enthusiasts. 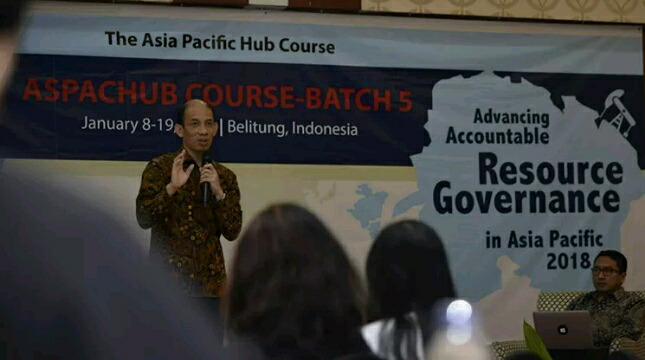 "Implementation of the gross split scheme has shown results in 2017, after 2 years no WK Migas sold, last year we can contractors interested in 5 WK Migas We hope the process is completed in the first quarter of 2018," said Deputy Minister of Energy and Mineral Resources (ESDM) Arcandra Tahar at The Asia Pacific Hub Course in Belitung, Tuesday (9/1/2018). Arcandra explains the main principle of gross split scheme is the certainty, simplicity, and efficiency. "Gross split will provide certainty for investors, because the parameters in the split division are transparent and measurable, the parameters are determined based on field characteristics and complexity of development and production," he said. Arcandra added that the gross split scheme would also simplify budgeting approval, procurement processes, and accountability. Production costs no longer affect the Government and the Government also does not need to waste a lot of manpower to do the monitoring of the budget. This scheme will also drive efficiency. Because of the savings that the contractor did, then the money would go into the contractor itself. As is known, in 2017, the Government opened the auction of Conventional and Non-Conventional WK oil and gas auction stage I. Since May 29 until December 22, 2017, as many as 20 documents of tender auction of WK Migas Conventional have been accessed, with 10 blocks of interest by 13 companies. As for non-conventional WK Migas, 2 tender offer documents are accessed and sought by 1 company.